Obituary for Esther B. Morrell | Gaskill Brown Funeral Home & Cremation Services, LLC. Gaskill Brown Funeral Home & Cremation Services, LLC. 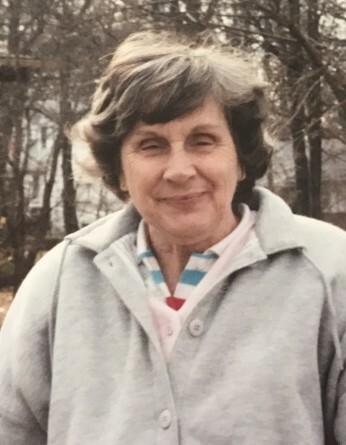 Esther B. Murphy-Morrell, 93 years-old of Cherry Hill passed away in her home on Monday, March 18th, 2019. Esther was a resident of Cherry Hill for the past 69 years and spent her childhood in Camden, NJ with her 2 sisters Francis (Hassell) and (Mary Ellen who passed as a baby) and 4 brothers Allen, Harry, Russel, Albert (survived by sister-in-law Jean Murphy). Esther was the last surviving of her family members and is now reunited with them in Heaven. She married Elwood Zachariah Morrell on August 11, 1942. Elwood passed on March 13, 1980 and together they had 2 daughters survived by Margaret Frances Morrell and Esther Mary Morrell (Zippilli). Survived by son-in-law John J. Zippilli and grandchildren John D. Zippilli, Christopher E. Zippilli (spouse Rhean Zippilli), Kevin J. Zippilli (spouse Melissa Zippilli), Kimberly Ann Zippilli-Hildebrand (spouse Grant D. Hildebrand), and Amy Zippilli-Pitale (spouse Thomas Pitale Jr.) Great Grandchildren Christopher, Colin, Brandon, Alexis, Kevin, Sienna, and Noah. She is also survived by many loving nieces and nephews. During World War II Esther worked in California in a factory that manufactured military planes. She wanted to do her part for the war while her husband was over seas fighting the war. She loved art and would draw and write poetry, enjoyed crocheting, loved to cook, and was a great story teller. She loved animals and had a great sense of humor. Esther was very spiritual and had a close relationship with God. She was not afraid of death because she believed in the afterlife. She will be greatly missed by all. Esther will be laid to rest at Harleigh Cemetery, Camden, NJ.